Taylor Bloom has significant experience operating at the intersection of law, technology and business, with a keen focus on international data protection, data privacy and governance. A certified privacy professional (CIPP/E, CIPP/US and CIPM) and the former in-house counsel at an advertising technology company, Taylor's diverse strengths include coordinating and leading the implementation of global privacy and data security policies and programs; advising on compliance issues, negotiating agreements with vendors and business partners; and maintaining a deep knowledge of the advertising technology ecosystem and related privacy issues, including those surrounding geolocation and cross-device tracking interest based advertising practices. 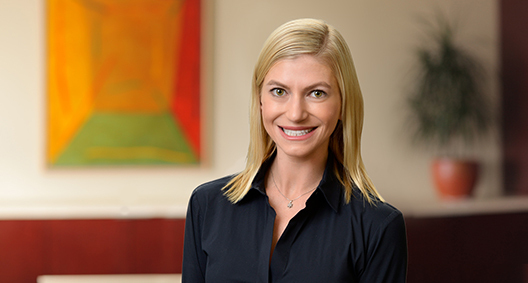 Taylor brings this experience to helping clients prepare for the new California Consumer Privacy Protection Act. Taylor is adept at working across company divisions to ensure practical, strategic, technology and business solutions, and she is well-versed at distilling complex technological issues into understandable language for business leaders. Developed and implemented all aspects of an international software company's global privacy program, including developing policies, notices, training, obtaining Privacy Shield Certification and aligning privacy practices among various business units in the U.S. and EU. Established company-wide privacy standards and policies to meet GDPR compliance requirements for an international technology company. Advised numerous clients on how to prepare for compliance with the California Consumer Privacy Act, including developing processes and policies for responding to data subject requests. Interfaced with regulators, industry groups and privacy advocates advising companies on the application of the DAA, NAI and IAB guidelines and requirements. Created practical business solutions to privacy and product issues in complex technologies. Reviewed and advised on corporate privacy matters, including data protection agreements, cross-border data transfer mechanisms, intra-group agreements, use of information by benefits service providers, and privacy and security aspects of vendor agreements. Analyzed domestic and international privacy regulations and determined their impact on a company's product and service offerings. These include the EU-US Privacy Shield, GDPR and Section 5 of the FTC. Negotiated and drafted intellectual property and information technology agreements of all types. Drafted and reviewed advertising, publishing, SaaS and general business agreements. Directed engineering efforts to align with third-party agreements and privacy regulations for data use and storage. Advised on consumer protection laws regarding online advertising, e-commerce and digital media. Addressed issues concerning children's privacy for education technology company.